Ever Green Family Mart provides all grocery, milk, meat and other items of daily use. 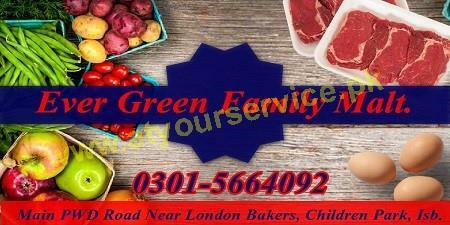 Ever Green Family Mart is located near London Baker, Main Road, PWD, Islamabad. It provides all grocery, milk, meat and other items of daily use.